Newton this week laughed at a question fielded by Charlotte Observer reporter Jourdan Rodrigue, saying it was “funny to hear a female talk about” about running wide receiver routes, ESPN reported. ‘’We are shocked and disheartened at the behavior and comments of Cam Newton toward Jourdan Rodrigue, which we perceive as sexist and disparaging to all women. It is entirely inconsistent with our commitment to fostering equality and inclusion in every workplace. It’s simply not OK to belittle anyone based on gender. We have shared our concerns with Cam and will no longer work with him,” a spokesman for the company told ESPN. 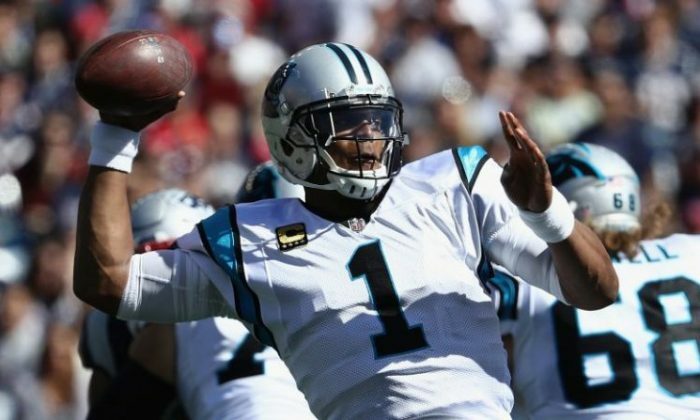 But despite the statement, Newton’s marketing agent, Carlos Fleming of WME/IMG, said that the company didn’t severe its active endorsement deal with the quarterback, “nor do they have the grounds to,” NFL.com reported. Under Armour, Gatorade, Beats by Dre, and Buick issued comments since he made the comment. For his part, Newton hasn’t issued a statement after he made the comment. The Carolina Panthers issued a statement on the matter.